The 'Queen Extravaganza' is an official Queen tribute show, created by Roger Taylor, which was formed in 2011 after an online talent search consisting of three rounds of auditions. The first round consisted of users submitting video performances of Queen tracks, which attracted over 6.4 million entrants, and Roger and a team of judges chose the best 50 to advance to round two. 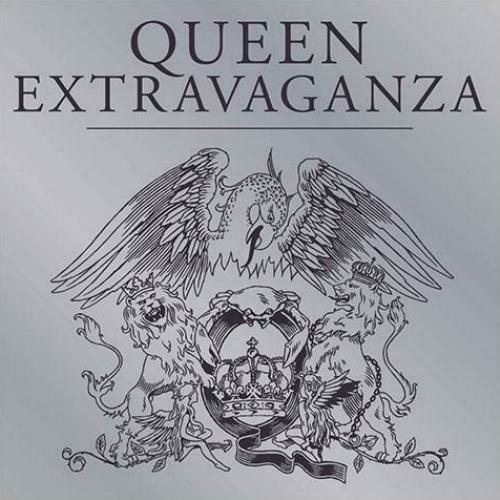 For the second round, each entrant had to submit a further video of them performing a specific Queen track ('Crazy Little Thing Called Love' for vocalists, 'One Vision' for drummers, 'Keep Yourself Alive' for guitarists, 'Another One Bites The Dust' for bass players, and 'Bohemian Rhapsody' for keyboard players). A public vote then chose the top 10 entrants for the final round, which was held at a live event in Los Angeles on 8 December, with a panel of judges including Roger. The band debutted on American Idol on 26 April 2012, performing 'Somebody To Love' with Brian and Roger. They went on to tour North America in 2012 and 2013, and the UK and Europe in 2013 and 2014. The band toured in Australia and the UK in 2015, to mark the 40th anniversary of the 'A Night At The Odeon' album, with a smaller line-up, consisting of original members Marc Martel, Tyler Warren and Francois-Oliver Doyon, with Nick Radcliffe on guitar. The band toured the UK again in 2016, with the same line up as 2015, adding Darren Reeves on keyboards. This was preceded by a show at the Casino Barriere, Montreux, to mark Freddie's 70th Birthday, which was broadcast online. The last show of the tour was recorded and the album was available at the venue immediately after the show, titled 'A Night At The Apollo'. The band will perform a 'Greatest Hits' UK tour in October and November 2018, which will feature a slightly changed line-up, with Alirio Netto replacing Marc Martel due to schedule conflicts, alongside Tyler Warren, Francois-Oliver Doyon, Nick Radcliffe and Darren Reeves. Drummer Tyler Warren went on to tour with Queen and Adam Lambert on their 2017 North American tour. The shows to date are listed below. One off shows are included within the nearest tour. The two shows in August had the same setlist as the 2014 UK Tour. This two disc album features the full show recorded at the Eventim Apollo (formerly the Hammersmith Odeon) in London, England, on 20 November 2016. It was recorded by Live Here Now and copies were available from the venue after the show, with the first 100 copies signed by the band. The album was later available online on the Live Here Now website, and the Queen Online shop. As the CD was pressed on the night, the track positioning is slightly out, most notably on 'I'm In Love With My Car', where the first 9 seconds are included at the end of 'Lazing On A Sunday Afternoon', while some tracks have extensive dialogue at the start. All song lengths below are for the songs themselves, ignoring audience noise or dialogue. Full scans of the album can be found in the gallery.